Causeless Mercy. 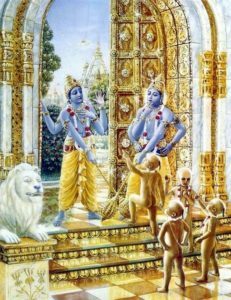 Taking Siksa from Srila Bhaktivedanta Narayana Gosvami Maharaja. 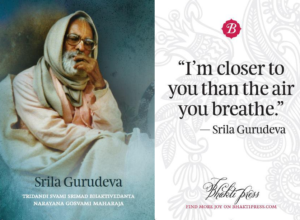 The following is Part Two of one of numerous darsanas (informal meetings) held by Srila Narayana Gosvami Maharaja for some of the ISKCON gurus and other senior ISKCON devotees. 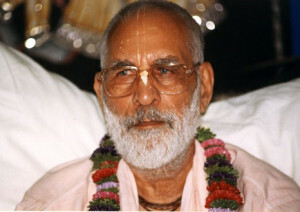 This darsana took place on May 29, 1993, in Mathura. Interviewer: Your Grace, what is the basis of your teachings? 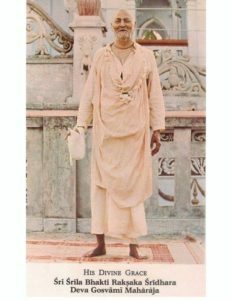 Prabhupāda: The basis of this teaching is Bhagavad-gītā As It Is. I have already published my book, this Bhagavad-gītā As It Is. This book is not new. It is very old book, at least five thousand years old, and it is very widely read all over the world. In your country I have seen there are about more than twenty-five different editions, English. 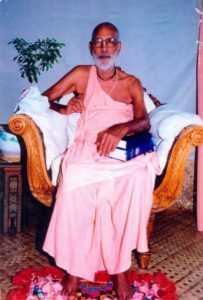 Sri Ramananda Ray was the viceroy of the east and west side of the Godavari River in the empire of Raja Sri Prataparudra. 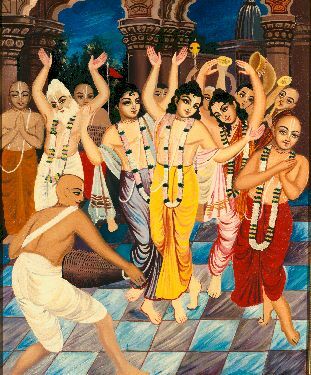 When Mahaprabhu was setting out on his tour of South India, Sarvabhauma Bhattacarya especially requested him to meet Ramananda Raya. 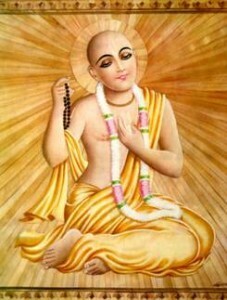 We shall continue our reading from Caitanya-caritamrta, Third Chapter, which explains who Sri Caitanya Mahaprabhu is, and how and why He came to this world. 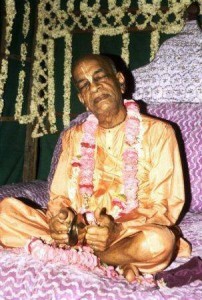 Srila Krsnadasa Kaviraja tells us that Sri Caitanya Mahaprabhu, Sri Sacinandana Gaurahari, is Krsna Himself, Svayam Krsna. 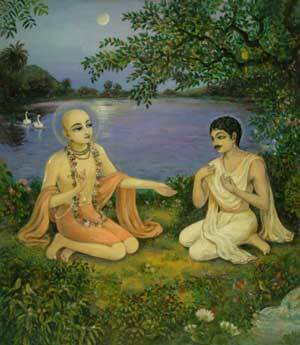 He is not only Bhagavan, but Svayam Bhagavan 1, Vrajendranandana Krsna. This Krsna is eternally situated with all His attributes, and with His power, which is personified in the form of Srimati Radhika. Even if the sun could be separated from its heat and light, Radha and Krsna can never be separated. 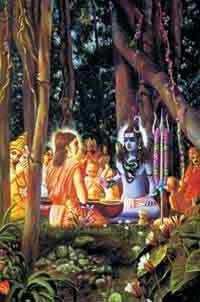 Sri Narada has gone to Sankara, Lord Siva, and is glorifying him; “You are very near and dear to Lord Krsna. 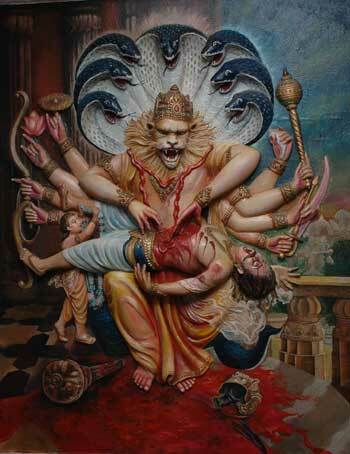 In honor of the Appearance of Lord Varaha. This year, 2019, the divine appearance day of Nitya-Lila-Pravista Om Visnupada Astottara-Sata Sri Srimad Bhaktivedanta Narayana Goswami Maharaja is on February the 4th. Please cherish this lecture He gave on this day in Feb.1 2003, in Florida.